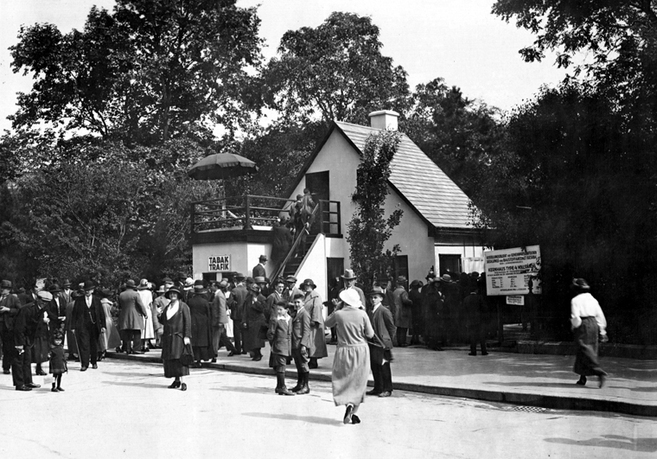 Visitors in line to see model house "Burgenland Type" with allotment garden developed by Grete Lihotzky in cooperation with the Austrian Lumber Union at the Small Garden, Settlement, and Housing Exposition, 1923, Vienna. Courtesy of Austrian League of Allotment Gardeners. 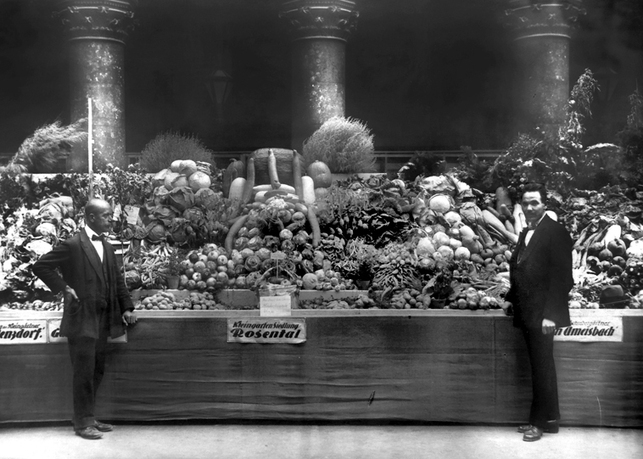 Use-gardens in Austria were highly contested and ideologically charged landscapes, complicit in political endeavors ranging from progressive concerns for health and communal living to nationalist agendas promoting food security and resource autarchy. 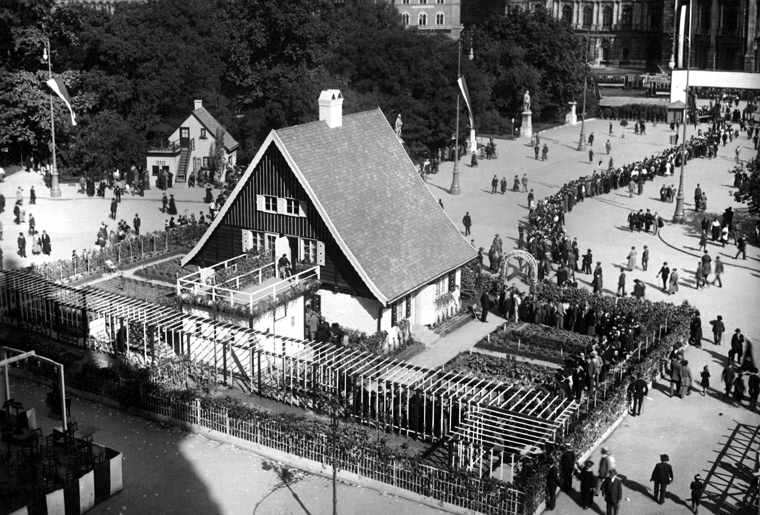 Studying the cooperative history of the Austrian Settlement and Allotment Garden Association over fifty years, the project examines how two generations of modern designers created an architectural vocabulary steeped in this spectrum of political imaginaries first articulated in the garden. 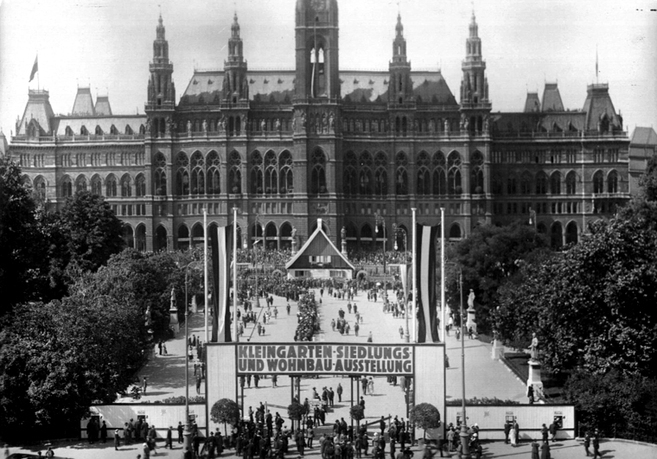 These culminated in large housing expositions and produce fairs in which architecture helped to propagate them to larger audiences. Looking at the home from the garden, the historiographical aim of the project is to challenge some of modern architecture's dichotomies; the division between town and country, "high" and "low" technological systems, and the "avant-garde" and "the public." In cooperative settlements, where modern architects shared design agency with politicians, resident-builders, and even plants and animals, the dissertation argues, these boundaries were not always clearly delimitated. Sophie Hochhäusl is a PhD candidate in Cornell University’s History of Architecture and Urbanism program, College of Architecture, Art, and Planning and a visiting scholar at Columbia University. She holds an MA degree from Cornell University and an MArch from the Academy of Fine Arts Vienna. Her scholarly work centers on the history of modern architecture and urban culture, with an emphasis on science and technology as well as garden studies. Among other texts, Hochhäusl has published a book on the socio-political mapping efforts of philosopher and economist Otto Neurath (Innsbruck University Press, 2011), an article on the production of Grete Lihotzky's kitchens for the Austrian settlement movement (Architectural Histories, 2013), and a book-chapter for Reading the Architecture of the Underprivileged Classes, edited by Nnamdi Elleh (forthcoming). Hochhäusl has also written a children's book on Viennese architecture (öbv&hpt, 2006).